The Akkin people speak a distinct dialect of the Chechen language and live among village/town clusters at the western edge of Dagestan surrounding the major city of Khasavyurt. The ancient home region of the Akkin is in extreme western Chechnya and eastern Ingushetia. 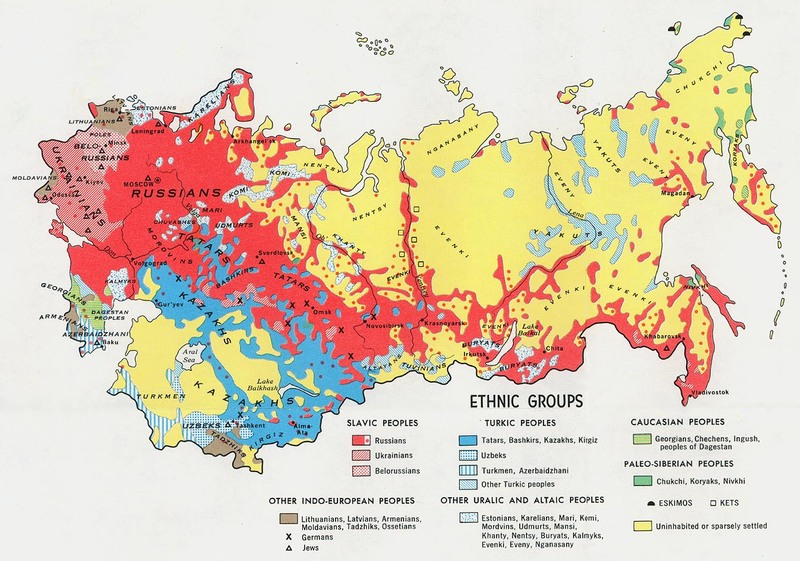 In pre-Soviet history many Akkin migrated eastward toward the border region of Dagestan and Chechnya near Khasavyurt. In 1944, accused of being Nazi collaborators, the Akkin were deported en masse to Central Asia by Stalin's KGB. Thirteen years later, under Krushchev, the Akkin were allowed to return but faced massive confusion--with many Dagestani Laks and Avars already resettled into the old Akkin villages in western Dagestan. Turmoil and conflicts raged off and on over resettlement questions from the late 1950s into the early 21st Century. Eventually some Laks moved to other lowland regions; and the Akkin finally settled into some of their original towns or in nearby locations close to Khasavyurt. The Akkin have a strong self-identity, in spite of typically being 'buried' in official census statistics as 'Chechen.' To Chechens, Akkin are Akkin. To Russians, Akkin are Chechen. To Akkin, Akkin are Akkin. The Akkin live along a transport corridor between Makhachkala, the capital of Dagestan to the east, and Groznyy, the capital of Chechnya to the west. Akkin refugees can be found in many asylum locations in Europe, along with other Chechen, Ingush, and Dagestani refugees. Some Akkin also live in the original homeland region of extreme western Chechnya and eastern Ingushetia. One "export" along the "corridor" mentioned above is constant competition between factions of extremist Islamists. Traditionally, the Akkin practice Sufi Sunni Islam; but external, missional Salafist (Wahhabi) zealous Sunni radicals have attempted to 'stamp out' Sufi practices of Islam throughout Dagestan. This internal religious conflict mixes in with an active radical Muslim insurgency against the Russian State. Thus constant conflict boils, even to the present moment in early 2014. The Akkin are affected by this insurgency, as young men get recruited and enticed (even extorted) toward participation with militants, or drawn into battles fought in their neighborhoods. * Scripture Prayers for the Akkin in Russia. * Pray for representatives of Jesus' grace to be "the right people at the right time into the right relationships among the Akkin" (Matt 9:36-38). * Pray for Caucasus house churches to notice (John 5:19) opportunities for friendship and connections with their Akkin neighbors. THANK GOD for One Church in USA who has "Taken the Akkin Into Their Hearts" (Phil.1:7) for long-term prayer until there is a Christ-following community among them. * Pray for European Refugee ministries to have eyes and ears for Akkin people in their midst. * Pray for Akkin 'people of peace' (Luke 10:6), who are waiting for representatives of Jesus' love and power —Luke 10:9,17—to find what their hearts have been waiting for.